It feels so good to say that. Did you guys have a good week? My week was full of highs and lows. A high, the Philadelphia Eagles (my football team) are heading to the Super Bowl next Sunday after a huge win against the Minnesota Vikings on Sunday. A low, one of my favorite aid organizations, Save The Children, was viciously attacked by ISIS at their Afghanistan office. This act of terrorism caused several casualties and injuries. A member of my family works for Save The Children and I have seen many pictures of their work, so the organization is near and dear to my heart, reading hearing about the attack brought tears to me eyes. You can read more about the attack here and make a donation here. I didn't mean to start off with bad news but I felt the need to share. Another high, I recently joined an app for bloggers and influencers called Like To Know It. It's great for me because it helps to bring more traffic to my Instagram, my Pinterest and this blog. 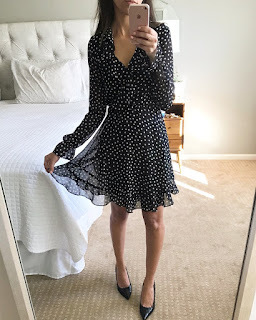 It' s great for you because if you follow me on Instagram you can now instantly get details to any outfit post, home decor post or beauty post. It's simple you download the app and then either follow me on the app (search Sharon Flahive) or enter your email to receive the details in a email. All you have to do is like or screenshot the Instagram post and the email will be sent automatically. Below are some example of a couple of my recent Like To Know It posts. Just in case you ned a reason to justify those nice things you like. This article breaks down how much it would actually cost to indulge a little. Things like a night out with friends or a pedicure, they are worth it when you see the numbers. So go ahead treat yo' self! Did you know the Seven Wonders of the World change every couple of years? The Leaning Tower of Pisa used to be on this list but not anymore. I believe that new addition is the Taj Mahal. I have been to both Chichen Itza and The Colosseum, so five more to go. The list is a must for me before I die. 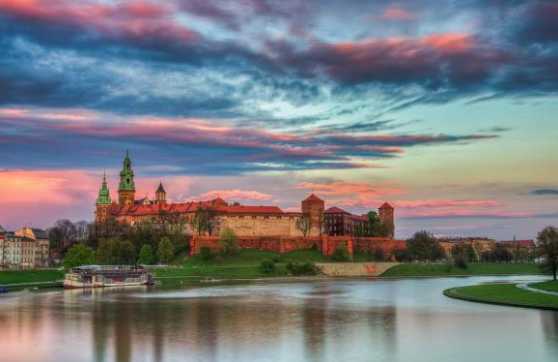 Have you been to any of the Seven Wonders of the World, old or new? I usually get my career advise from one woman, my mom. And not only career advise. But when I am searching online for career advise I find it more relevant and a bit comforting getting career advice from articles written by other women. Girlboss is a website that is career and goal oriented written by women. It not only tackles tough work related question like "Why did you leave your last job?" but also touches on wellness, beauty and life in general. I use it mostly for career and finance advise. This piece is such a fun read if you're like me and love books/ movies like Harry Potter and Lord of The Rings! Traveling to a land of castles, caves and even Vampire burials would be so fun and culture rich. Who needs Disney when these places really exist. 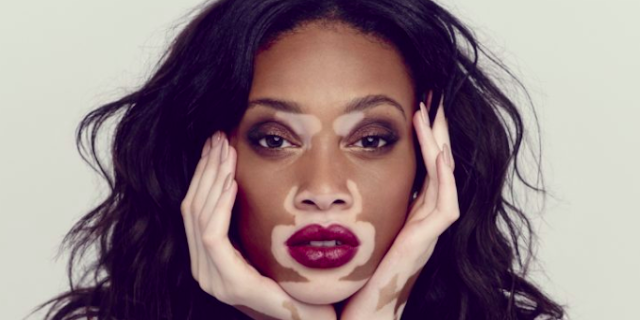 One of my favorite models, Winnie Harlow has vitiligo. Have you heard of vitiligo before? You've probably seen it. It's a skin condition where the skin looses it's pigment in patches. For example white patches of skin on an African American person. I've been curious about the condition because I am so in awe of people, like Winnie Harlow who have overcome social sigmas and become proud and successful despite their condition. Vitiligo is not curable and occurs for basically no rhyme or reason. This article is a must read to understand vitiligo and learn something new today. Plus it gives amazing insight on what it's like to have vitiligo.